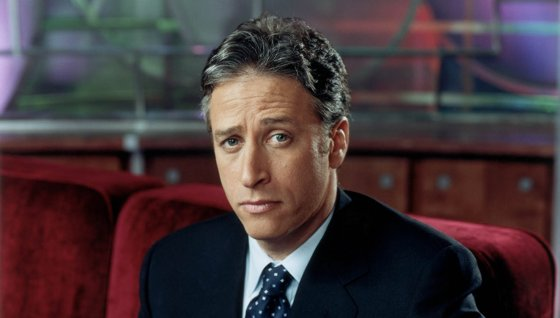 Welcome to part three of a series of editorials where Centives examines the Evolution of The Daily Show with Jon Stewart over the years. Read our introduction here. And see our previous articles for the years 1999 and 2000. The number of actors who appeared on the show suffered a 7% drop from the year before. With the end of the election the number of politicians who made it to the studio also declined. The difference was almost entirely made up by the significantly increased number of journalists who were invited to be interviewed by Jon Stewart. Seven guests made repeat appearances at the studio. In contrast to the politicians who seemed to make the show their home in 2000, in 2001 all the repeat appearances were made by entertainers. The Female: Male ratio stayed constant at about 1:3. With the end of Indecision 2000 the average age of the guests fell to 40. Julia Stiles and Jessica Alba were both 19 years and 9 months old when they made their respective appearances on the show. On the other end of the spectrum, at 78 years and 4 months, Don Hewitt took the record for oldest guest from 2000’s Betty White. Fans of the show will remember the heartfelt introduction that Stewart gave on the first show aired after the events of 9/11. As Centives will argue in this and subsequent posts, the events of 9/11 had a significant effect on the direction of the show. Before the attacks on the United States a mere 7% of the guests on the show in 2001 had been journalists. After 9/11 the proportion of journalists on the show in 2001 jumped up to 29% as Stewart brought in people to try to help make sense of what had happened. The average guest was also a full two years older after that fateful day suggesting that Stewart brought on more experienced professionals to discuss the aftermath of the attacks. After the intensity of the 2000 elections the show was poised to return to the more playful style that fans had seen in 1999. Yet this was not to be. The repercussions of 9/11 have been far-reaching and the earthquake created by the collapse of the twin towers continues to shake the world today. Jon Stewart was not even close to being the person who was most affected by the tragedy. But his response to it would change the direction of a show that is watched by millions. Follow us on Twitter to get the latest updates as Centives continues its weekly coverage of the Evolution of The Daily Show Over the Years. Or head on over to our editorials page to find out about the Greatest Muppet Telethon Ever, a meta-analysis of Coffee Ratings, and Centives’ own Monopoly Property Calculator. ← Should You Buy or Rent?